Autumn often brings with it an abundance of fresh produce. 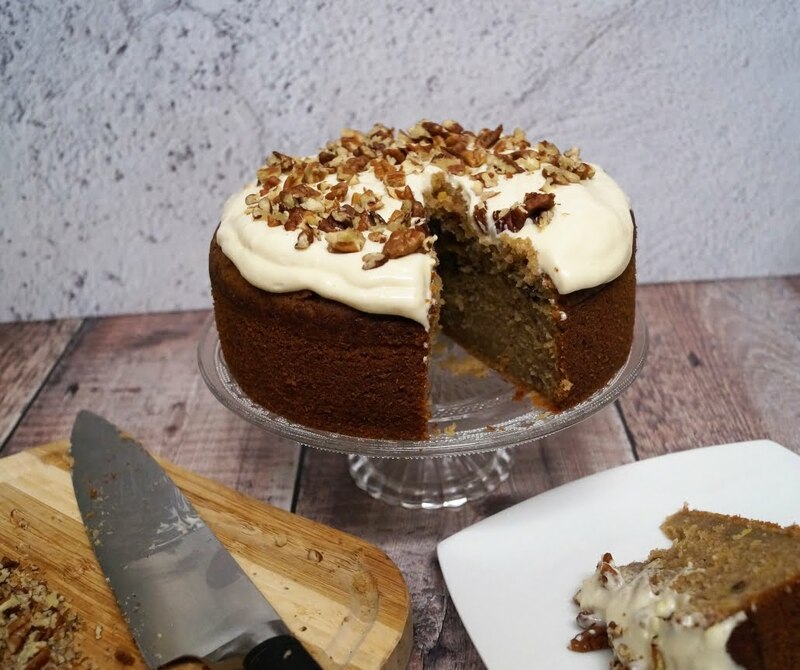 We’ve been inundated with courgettes so we have made them into a delicious courgette cake where the icing on the top really is Pure Maple goodness. Preheat the oven to 160C or 140C for a fan oven. Grease and line your 22cm springform cake tin Sift the flour, spice and baking powder into a bowl and mix in the sugar. In a separate bowl, beat the eggs, orange zest and juice, then pour in the oil. Add the courgette and 150g of the pecans to the oil mixture. Beat in the flour until combined. Tip the mixture into the cake tin, smooth the top and bake for 1 hour and 20 minutes (or until the skewer comes out clean). Leave to cool for 30 minutes before removing from the tin and place on a wire rack to cool. Whilst the cake is cooking, make the icing by beating together all the ingredients. Once the cake has cooled, use a spatula to spread the icing over the top. Sprinkle over the rest of the pecans to decorate. 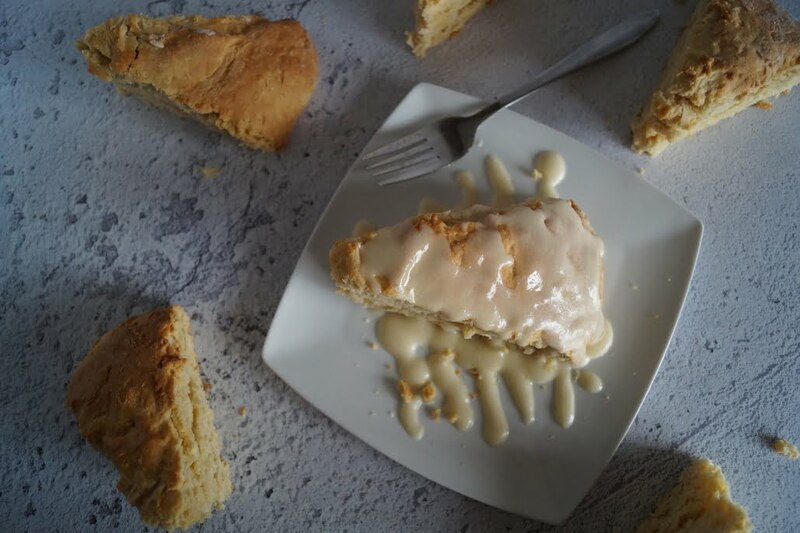 We’ve been indulging in these deliciously moist and flavoursome scones later so we thought we’d better share our recipe with you so you can enjoy them too. You’re welcome. Hope you love them as much as we do! In a large mixing bowl, stir together the flours, sugars, baking powders and salt. Rub in the salt cubes. Pour in wet ingredients and stir together until just mixed, do not over mix. Transfer dough to a lightly floured surface and knead for about a minute until everything is incorporated. Flatten the mixture to a roughly 10″ disc about an inch and a quarter tall. Transfer to a lined baking sheet and use a pizza cutter to slice the dough into 8 equal pieces. At this point, you can brush the top of the scones with a beaten egg. Bake in the oven for around 25 minutes, until they’re golden brown. Whisk together all the glaze ingredients until it’s a drizzling consistency. 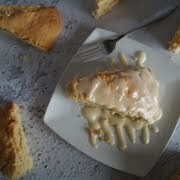 Drizzle over scones once cool and enjoy. 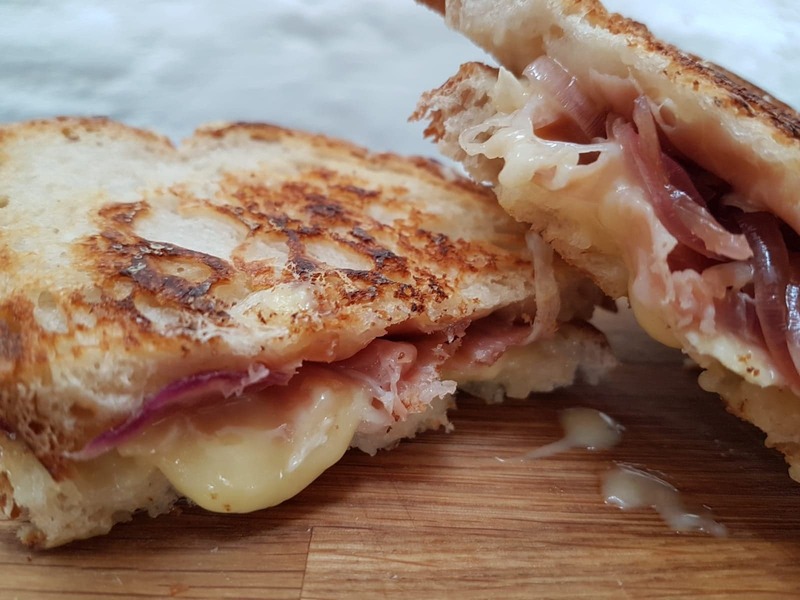 In this recipe, these humble toasties are made extra special with red onions naturally sweetened with our delicious Pure Maple Vinegar and when combined with brie and prosciutto, make it a very sophisticated lunch or even dinner. Heat a frying pan on low heat with a little olive oil. Thinly slice the red onion and add to the frying pan when hot. Add the Maple Vinegar to the pan and gently cook until softened. Spread a little butter on both outside pieces of the bread. On one piece of sourdough bread, place a couple of pieces of brie, some red onions and a couple of slices of prosciutto. Place a couple more slices of brie and top with the other piece of sourdough bread. Return the sandwich now to the frying pan and cook on both sides until the cheese has melted and the bread turns a lovely golden colour.